As I’ve developed a greater interest in health and increased my diet variety to include foods that give amazing flavour as well as nutrition, I have branched out into using a lot of new products. Many of which you will also be able to get from your standard supermarket today but over the years I have learnt a few tips on how to get the safest/best quality produce, which I’ve summarised below. I’m still constantly learning about new brands/issues etc (as is the case in science and research) therefore this is a post which will probably be updated regularly as knowledge develops. Cacao– buy organic, ask the brand if they test for heavy metals e.g cadmium, lead etc. If it is an EU brand then they must adhere to EU standards therefore they should already test for these. Cinnamon- Most cinnamon sold in shops isn’t actually the real thing; instead it is cassia cinnamon with the true kind being called “Ceylon”. Cassia contains far more coumarin which can be dangerous when taken in large doses, although most people won’t eat enough cinnamon in one day to reach this level however to get the maximum bang for your buck and to ensure a better quality of cinnamon aim to purchase the real kind which can be bought from on line health stores. Goji berries- most sourced from China, however their organic label is less strict than the European one so make sure the brand you’re buying from adheres to the EU standards and performs rigorous tests. This matter has been big in the past so companies have become stricter on it but it’s always a good idea to check anyway. 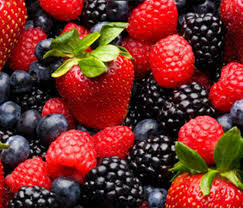 As berries do tend to be on the “dirty dozen” list in many countries it’s a good idea to do the same checks for any berries you get. Green tea– Mostly sourced from China so go organic as China tends to be very pesticide heavy, however as normal green tea does not include consumption of the whole leaf (unlike matcha) lead contamination isn’t such an issue as very little gets through into your tea. Plus I’ve found it very hard to get normal green tea teabags that are not from China, therefore if you’re a fan you may find this difficult to avoid. Matcha- A powdered form of green tea. Source from Japan not China as lead contamination from China is a real risk, choose organic and still ask if they do their own checks for safety e.g other pollutants even if it is from Japan, just to be sure. Rice products– check the arsenic levels, it tends to be higher in wholegrain variety so caution and moderation should be used when feeding this food to young children as many baby food products are rice based. Basmati varieties and rice from south India tend to be lower in arsenic, but try to check with the producer first. Here is a link to a brief discussion with Dr Meharg who has done a lot of work on the matter. Salmon– Choose wild, Alaskan (organic if possible) which has less mercury and as it is wild it won’t have any fake pink dyes added to it. Or check with your local fish monger to see how they are raised and if they perform checks on the quality of it. I follow Dr Mercola’s advice on the matter which you can read here. Spirulina/chlorella– Ask if tests for mercury, microcystin and other water toxins/contaminants have been performed & again go organic.